One of China’s largest railway companies Construction Corp Ltd (CRCC) has signed two construction deals in Africa worth a combined $5.5 billion, demonstrating its ability to compete on the international stage. CRCC China-Africa Construction LTD, a wholly owned subsidiary of CRCC, signed a $3.51 billion contract to build an intercity railway in Nigeria, China’s Xinhua news agency reported Tuesday citing Nigerian senator Ibikunle Amosun. The Chinese company also inked a $1.93 billion construction contract for a residential project in Zimbabwe. Meng Fengchao, the chairman of CRCC, said the deals are a further sign of the company "going global". 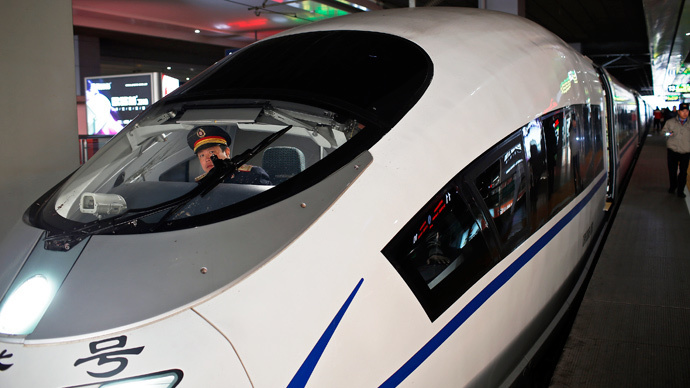 China has recently increased its efforts to win more international contracts. The two largest Chinese state-owned train makers CSR Corp and China CNR Corp are in the middle of a merger to create a $26 billion new mega-company to compete in overseas markets. They received approval from the government in early April. At home, China is planning a major expansion of domestic rail routes and plans to add another 14,545 kilometers of high speed track by 2020 in addition to the current 16,000, Bloomberg reported, citing Daiwa Capital Markets analysts Brian Lam and Kelvin Lau. China is working to revive the Silk Road, an ancient trading route that connected Asia to Europe. Recently it has been considering major deals with Pakistan and Russia Both are part of the so-called ‘One Belt, One Road’ initiative to boost trade and communication with Russia and Europe.